Senior Tara Puffenberger stands among her teammates at Lakeside Field. The midfielder transferred to Northwestern after disappointment in Virginia, and she dove back into the sport she dominated her entire life. She is vital to the Wildcat attack, standing third in assists and second in shots on goal this season. Senior midfielder Tara Puffenberger lives and breathes field hockey. The sport has taken her across the pond and back, from Canada to the Netherlands. She has been to the Junior Olympic Games twice, USA/Canada Challenge twice and Futures Elite and National Futures Tournament five times. She helped the U.S. Junior National Team win the gold at the 2008 Junior Pan American Games in Mexico City and played under current Northwestern coach Tracey Fuchs for a few years on the Junior National team before ever setting foot in Evanston. Once Fuchs and Puffenberger parted ways, Puffenberger attended college at the University of Virginia. Playing for the Cavaliers eventually drained the fun and excitement she had previously gotten out of her favorite game. She played for two years at Virginia and then took her junior year off but still enrolled in classes at the school. 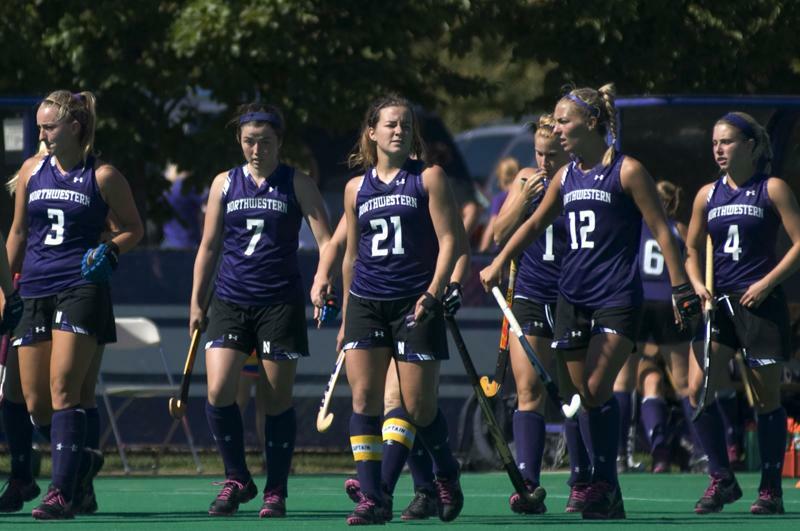 Puffenberger has definitely been playing her best field hockey at NU. Last year, she had a hat-trick in the opening half against Kent State and was named an All-American, first-team All-Big Ten, All-West Region and Academic All-Big Ten. She started in all 20 games and was second on the team in goals and shots-on-goal behind Chelsea Armstrong. The Dallas, Pa., native was also third on the team in assists. This season, Puffenberger is third on the team in assists, second in shots-on-goal and fifth in goals. She is helping to lead the Wildcats to another phenomenal season. NU is undefeated at home and has won four out of five conference games. Last year the Cats went 16-4, and this year they’re still on track to contend for the Big Ten Championship.